Sitting down with Keri – Miller Harris’ Product Development Manager – we take a closer look at the story behind our packaging partnership with the luxury perfumers and discuss taking their brand packaging from concept to their network of stores. Miller Harris was founded over sixteen years ago by perfumer Lynn Harris. The brand strives to push the boundaries within their market, creating complex couture fragrances designed to tell vivid urban stories. When the time came for the company to relaunch their La Fumée range (switching from cartons to more premium rigid boxes) their Product Development Manager teamed up with Progress to help develop a range that would appeal to their target market, as well as stand out in their Middle East where the scent was scheduled to launch. Their perfumes are concoctions of delicately placed, finely chosen natural ingredients that are blended together to make distinctive fragrances. When we received the initial brief, it was imperative that we worked with the same ethos on the production of the packaging, allowing the senses to take over visually and when held in the customer’s hand. 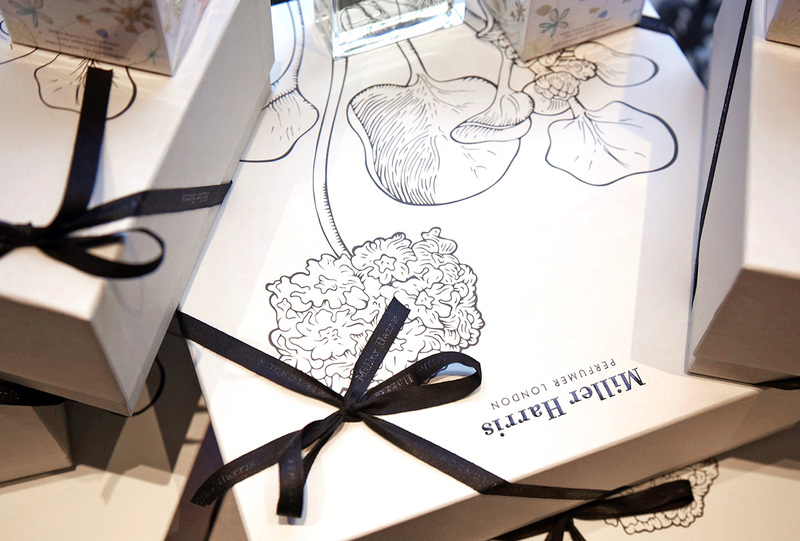 The multi-layered processes of branding on the perfume boxes are best appreciated up close. The rich, classic colours emphasise the tradition and quality of the brand, while the different paper textures make it feel luxurious to the touch. The fine design on the boxes demanded that Progress work closely with the in-house team at Miller Harris – especially when production testing the intricate foiling and the level of detail required. Each step of the production has involved working with Miller Harris as partners to achieve the best structurally sound and aesthetically pleasing result. 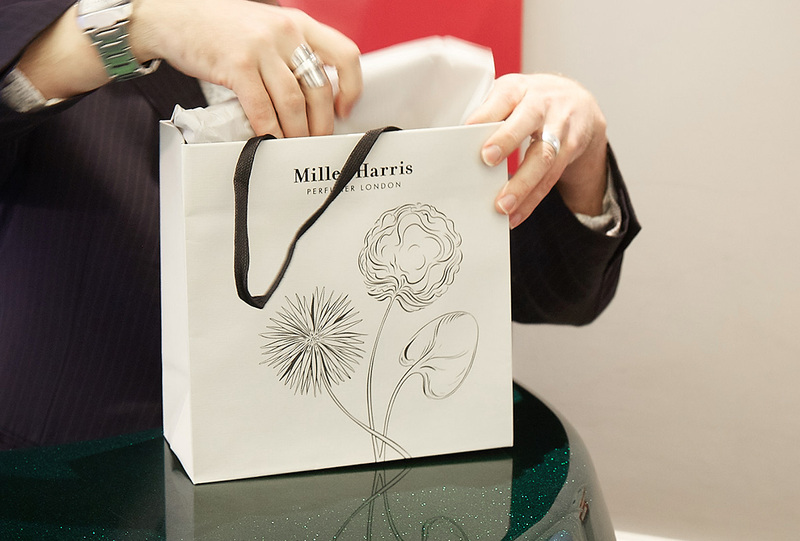 Miller Harris have a network of specialist boutiques – all are designed around the central idea of extending the story of their brand and their fragrances into the retail environment. Packaging is used in store to help merchandise each scent. Since our introduction to the perfumers through the La Fumée Collection, Progress have gone on to produce a variety of other projects including packaging for two new Signature ranges and the Perfumer’s Library. At concept stage on all these projects we have worked alongside their design team to build and develop the structure of the packaging – including candles, matches, diffusers, travel packs, sprays and miniature box set ranges. These packs also have a wide range of different inserts fitted to secure the products in place, including suedette-covered platforms and vac-formed trays. As a luxury goods purchase, the details are important to Miller Harris, whether on the shelf or on the bag when the customer has left the store. Senses of expectation, decadence and sensuality are explored when the customer opens their purchase. 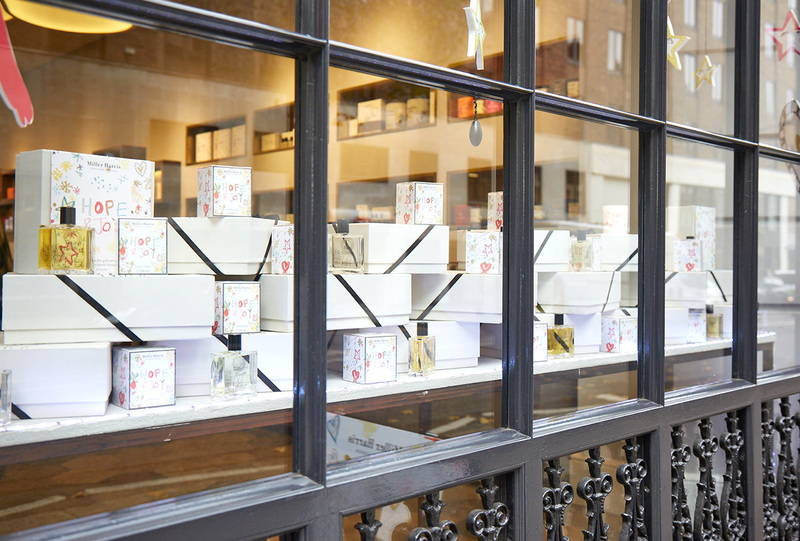 The grosgrain ribbon detail on the gifting box range adds experience to unwrapping the purchase. Find out more about our packaging partnership with Miller Harris and view the Project Case Study.